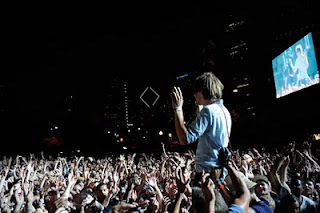 After writing 10 posts about the Chicago's biggest music festival this summer, Lollapalooza; finally it is time to announce the number 1 live show review. 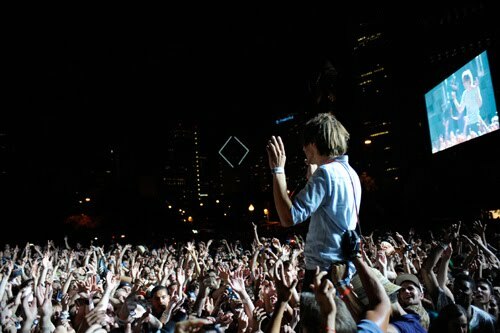 I am pretty sure that I had missed various great performances at Lolla due to the scheduling conflict. However, I am so happy to finally announce the number one, da la da la da la....... Phoenix!!! "Phoenix!? "- this is the reaction that I got from my coworker when I told him that it was the best performance. 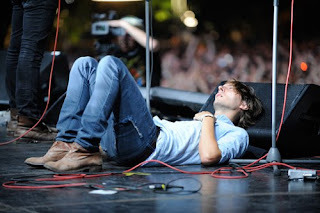 He knew that I went to see the Strokes, and Mutmath. Yes, I am 100% confident to say that their performance was outstanding and it brought me back to the very first point where I found my love in music. 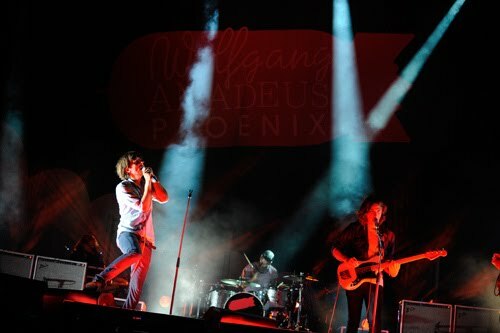 French pop rock band, Phoenix, was to close the second day of the Lollapalooza, while Greenday was performing on the other side of the park. 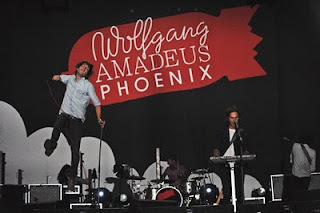 The band became recognized worldwide with the 2009's new album, Wolfgang Amadeus Phoenix- which includes famous tracks like 1901, Lisztomania, and Fense. These songs were the only songs that I knew prior to the show. I knew about the band, however again, they were "too famous" for me. After a crazy dance session at Cut Copy's show with my friends, we headed to their show right after. 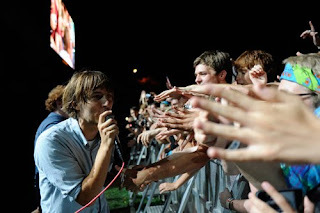 Started off their performance with a song" Lisztomana", the lead singer, Thomas Mars was clearly overwhelmed by the number of audience who were there to see the band. He even mentioned that it was the biggest crowed that they'd ever had. Although I did not know lots of songs by them, their show was very enjoyable- it was a perfect time to enjoy the scene with great friends who traveled together after 10 hours of drive to Chicago. I and girl friends were dancing all the time during the show. It was such a precious moment. One thing that I absolutely loved about their performance, which made it No.1 was the fact that the band members themselves was having a good time. My friend Saira brought to my attention that Thomas could not help himself from smiling while trying to be serious. The moment that he put a serious face on, he failed to do so as he was so happy to see such huge crowed was singing along with him, dancing along with the tune. The smile on the big screen made me smile and it was such an unforgettable moment. I could not see the joy of playing on the stage from anybody else- In fact, a lot of other bands seemed that they were playing for their audience, not for themselves. Phoenix seemed to understand the concept of "ichi go ichi e". They performed their best for us and themselves to enjoy the moment, which would never happen again. I think it is the beauty of the live shows or any live performance. This is why they are the best among all the bands that I saw in three days. Closing their encore with the song, "1901", I strongly told myself that I would never forget this moment with the 4 other people who happened to be on the same road trip- who made the trip fun.